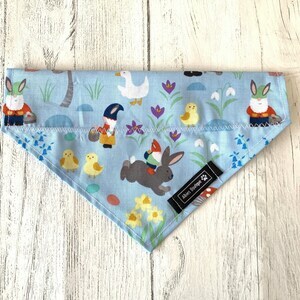 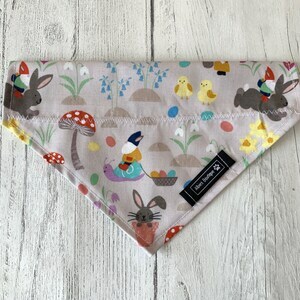 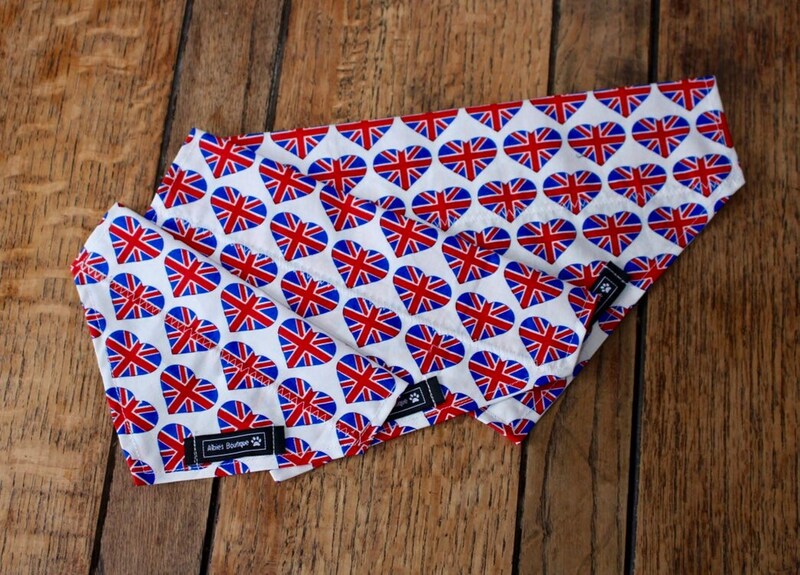 Dog Bandana in Union Jack heart fabric. 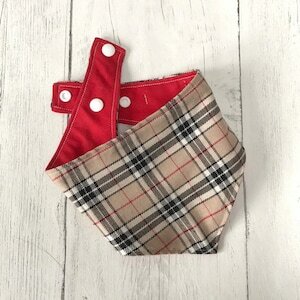 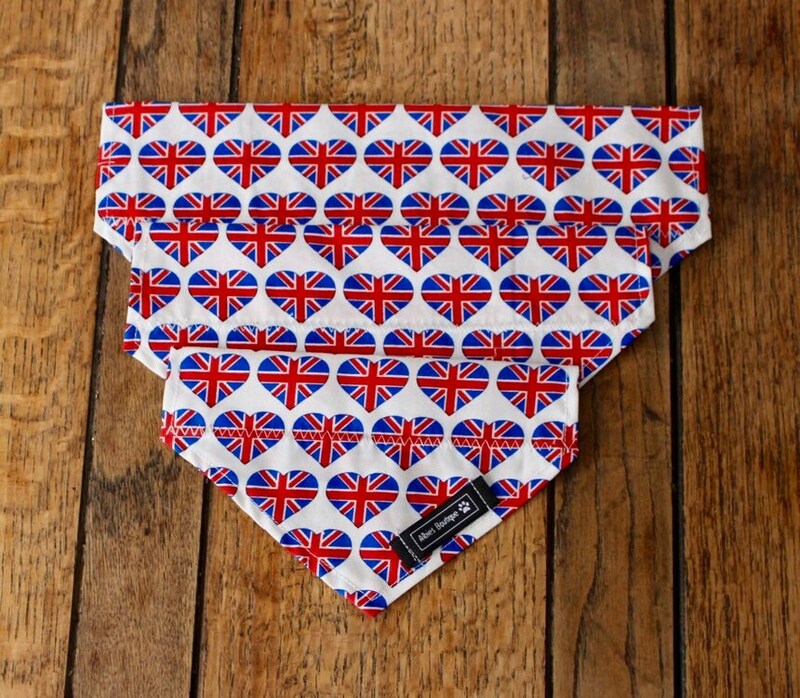 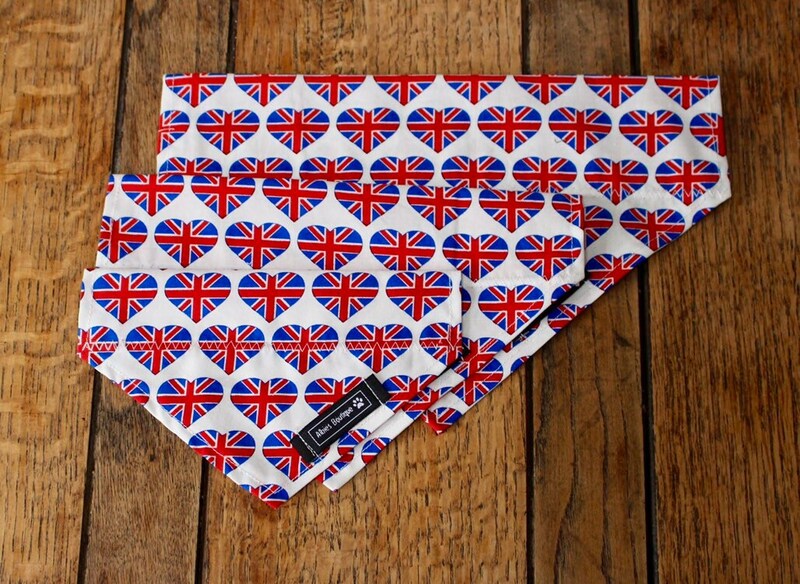 A Handmade Slip Over the Collar Dog Bandana in Union Jack heart fabric. 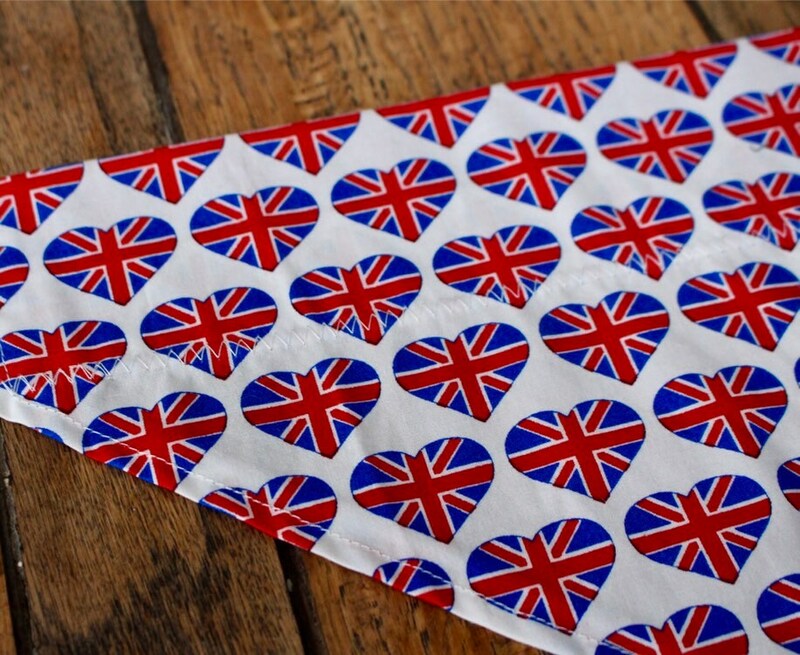 The fabric is a white background with fun Union Jack hearts. 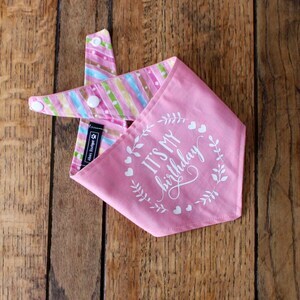 It's my birthday' vinyl print Handmade double sided dog Bandana in pink and candy stripe fabric.